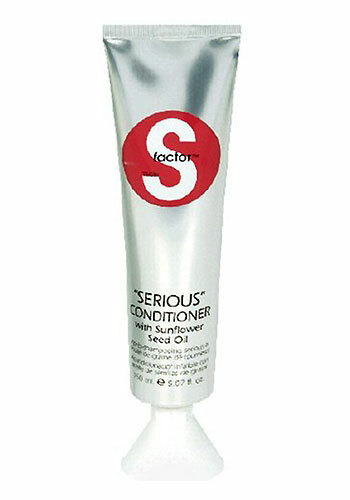 TIGI S-Factor Serious Conditioner intensives hair remedy with sunflower seed oil smoothes and softens hair. This creamy formula also contains Vitamin E and Hydrolyzed Silk to smooth and shine the hair while minimizing split ends. It is also can strengthen and protect coloured hair from fading. Its lovely strawberry peppermint smell will relax your mood. Apply a small amount and massage through your hair, leave in 3-5 minutes and then rinse with warm water. It just works. It give a instant healing to my dry and battled hair. It seems a bit expensive than the regular conditioner, but its worth it.